Gunung Pulai is a popular hiking destination among the locals and Singaporean. Unfortunately, the waterfall area is badly littered. In May 2015, we had the opportunity to join a trip to Gunung Pulai organised by Trek for Hope. The trip is called “Eco Clean Up at Gunung Pulai.” Apart from scaling the summit, we did an area cleaning picking up as much rubbish as we could. The aim was to raise awareness of protecting the environment. To all hikers and campers, please bring your own rubbish out. 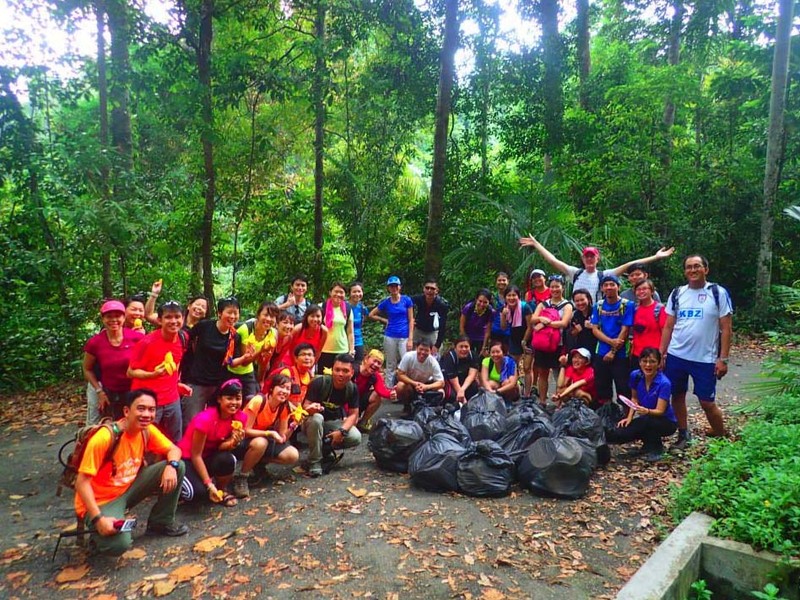 On your next trip to Gunung Pulai, why not also bring an additional rubbish bag to pick up some trash along the way! Fancy a trip to Gunung Pulai? Plan a trip to Gunung Pulai here using the information shared at our Hiking Destination Guide – Share My Hikes.